Enecsys has released its second generation of solar panel micro inverters. The new offerings feature more energy output and energy-harvesting capability than their predecessors, the company said, and a self-configuration feature allows the converters to adapt automatically to international energy standards. Ajay Malhotra, vice president of marketing for the Redwood Shores, Calif., company, told us that inverters normally convert the DC electricity from an array of solar panels as a whole to AC. That’s fine for a large array at an industrial site or in a field with nothing to block access to the sun, but it is not as practical or efficient elsewhere. 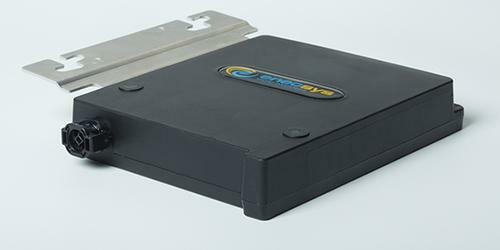 Enecsys has been producing micro inverters since 2003. Its company founders, graduates of Cambridge University, were some of the pioneers of the technology, especially in creating devices that could last as long as solar panels (20-25 years). To that end, Enecsys is including a 25-year warranty with its second generation of inverters, Malhotra said. The first generation had a 20-year warranty. The new inverters feature a few energy-related improvements, including an AC output of 240-300 watts, with a peak efficiency of 96.5 percent. The previous generation had an AC output of 225 watts with a peak efficiency of 93.5-94.5 percent.